Swiss artist Jonas Etter, based in Zurich, works in many mediums, including burnt sugar. These typographic sculptures and framed wallpieces are all made using the aforementioned substance. The burnt sugar melts due to heat and air moisture, turning the pieces into a sort of performance. 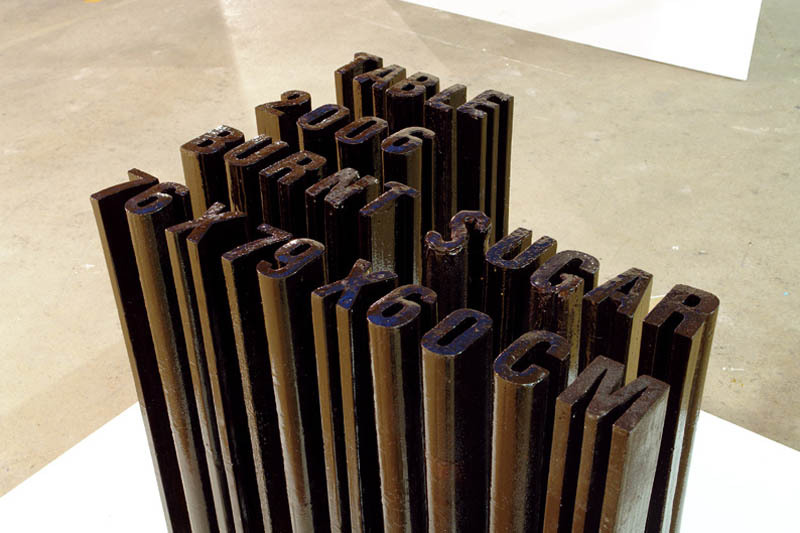 The typographic sculptures are their own self-defining captions. 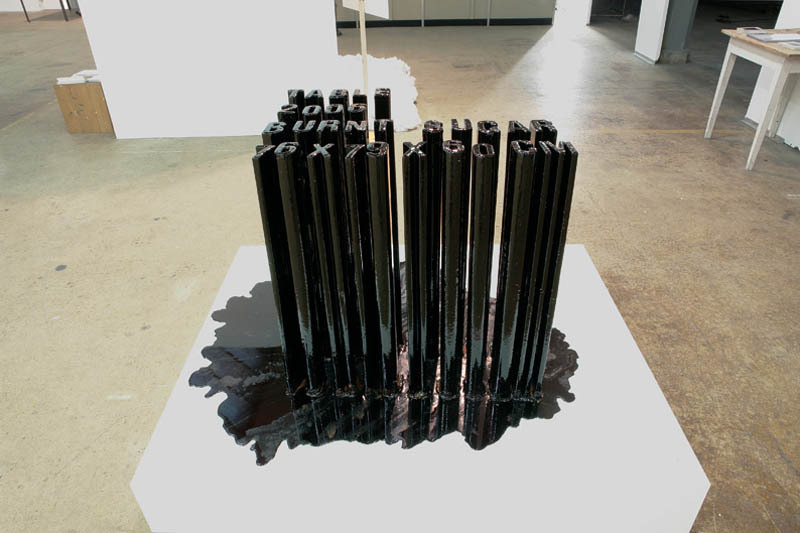 As they melt and spread over the base, the works transform and invade the viewer’s space with their sticky puddles. The Wallpiece I-III are put on the wall immediately before the opening reception and the content slowly starts to flow out onto the ground. This entry was posted in Architecture, Fun, Just Plain Cool, Stuff We Like, Typography. Bookmark the permalink.